One week from today, Insomniac Games will release the first downloadable content for Marvel’s Spider-Man. 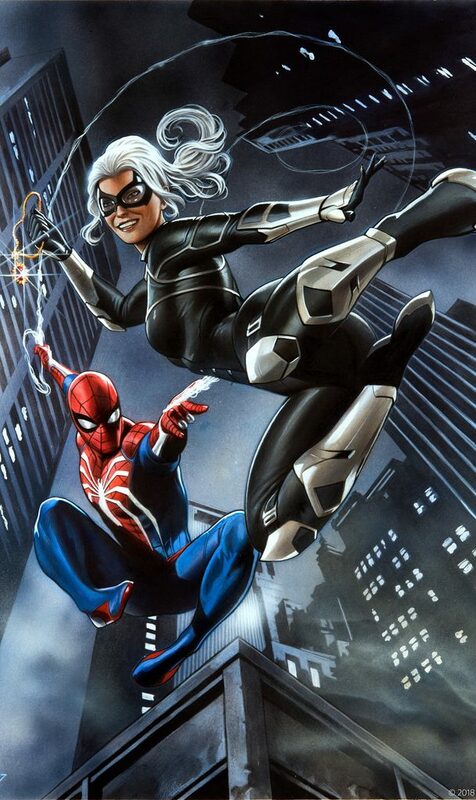 The entry, titled The Heist, will be the first in a series of three installments to be released under the Marvel’s Spider-Man: The City That Never Sleeps banner. 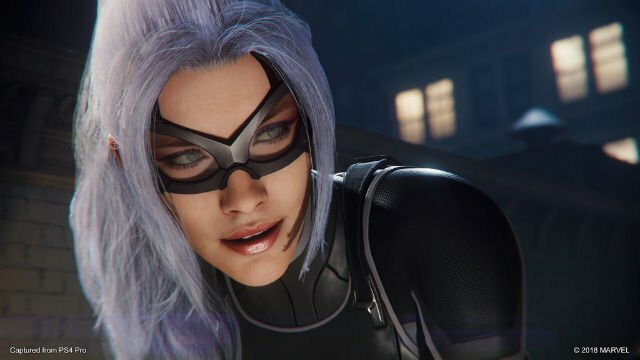 In a blog post found on the official PlayStation website, Insomniac’s game director, Ryan Smith, shared some new information about the first round of DLC. Next week’s chapter will prominently feature Black Cat, who had an off-camera (but memorable) presence in the base game. One of the side missions had players travel to various rooftops throughout Manhattan and photograph 12 of her plush cat toys from a distance. Once Spider-Man finally locates her hideout in an abandoned rail tunnel, he finds $50 million worth of stolen goods along with her gift of the Dark Suit. A phone call with Captain Watanabe reveals that the stakeouts were only a ruse for her to retrieve her costume from the police department’s evidence lockup. 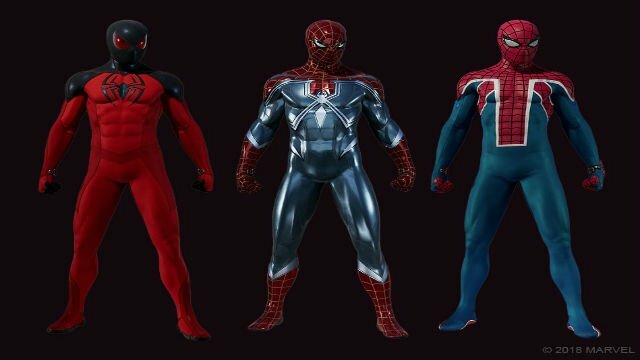 The new suits include the Resilient Suit designed by comic artist Gabriele Dell’Otto, Scarlet Spider II, and Spider-UK. You can check out a photo of the suits, along with a new art print for the DLC courtesy of Adi Granov, below. Spider-Man has been a tremendous success for Sony and Insomniac ever since it hit store shelves a little over a month ago. In addition to rave reviews from critics, the game has become one of the highest-selling video games of 2018 so far. With 3.3 million copies sold in its first three days, it’s now the fastest-selling first-party release in the history of Sony Interactive Entertainment. Perhaps most impressively, the game’s opening weekend gross managed to outpace that of Marvel Studios’ Spider-Man: Homecoming. Spider-Man: The Heist will be available via the PlayStation Store on October 23 for $9.99. According to Smith, you can save yourself a few bucks by purchasing the entire DLC trilogy for $24.99. The follow-up chapters, Turf Wars and Silver Lining, will be released in November and December, respectively. Will you be checking out any of Spider-Man’s downloadable content? What do you think of the new artwork and suits? Share your thoughts in the comment section below!